If you have older windows, chances are they need to be replaced. Whether you are purchasing new windows or replacement ones will depend upon how much you are willing to spend, as well as other factors. These may be time, condition of the windows and its setting, compatibility between windows, the style of the home, and personal preference. 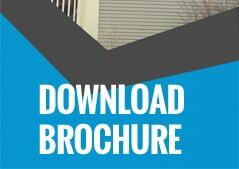 Your choice of method may also depend upon the interaction with the window replacement companies you talk to. There are several signs to watch for in a home that will let you know it is time to start planning to upgrade your windows. 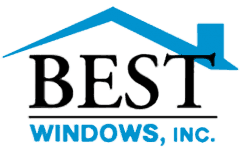 At Best Windows, we tell our customers to watch for condensation on the windows, frost on the interior of the windows, problems in opening or closing windows, or obvious drafts around the frames. If you notice these issues, you may be losing a lot of heat in the winter and cold air in the summer to the great outdoors. By upgrading to energy-saving windows, you can not only give your home a bright, new look but you can also help to save on your energy bills year after year. When replacing windows that are no longer efficient, you may find the savings are considerable, helping to pay for your upgrade over just a few years. For those homeowners with older homes, choosing to upgrade to a high-quality house replacement windows has a number of definite benefits and advantages. First, and perhaps most important, it will improve the look of your home from the interior as well as the exterior. Secondly, our new windows can help with energy cost reductions in the home. Not only will they be more energy efficient with new types of glass and frames, but they can also be selected to help in providing natural ventilation for the home. Taking advantage of cool or warm breezes helps to cut down the cost of running fans and heating and air conditioning systems on beautiful days throughout the spring, summer and fall months.